The Decksaver Akai MPK261 Cover is a custom moulded protective case designed to accommodate the Akai MPK261 Controller Keyboard. The highly-durable polycarbonate shell ensures maximum strength and protection for your keyboard. The shell cover helps to protect your turntable from dust, liquid and accidental impact damage while you are on the move. The precision trim of the Decksaver cover ensures you can accommodate cables, so that your controller keyboard is always ready for operation. With its clear and durable design, the Decksaver cover is the ideal companion for any musician on the move. 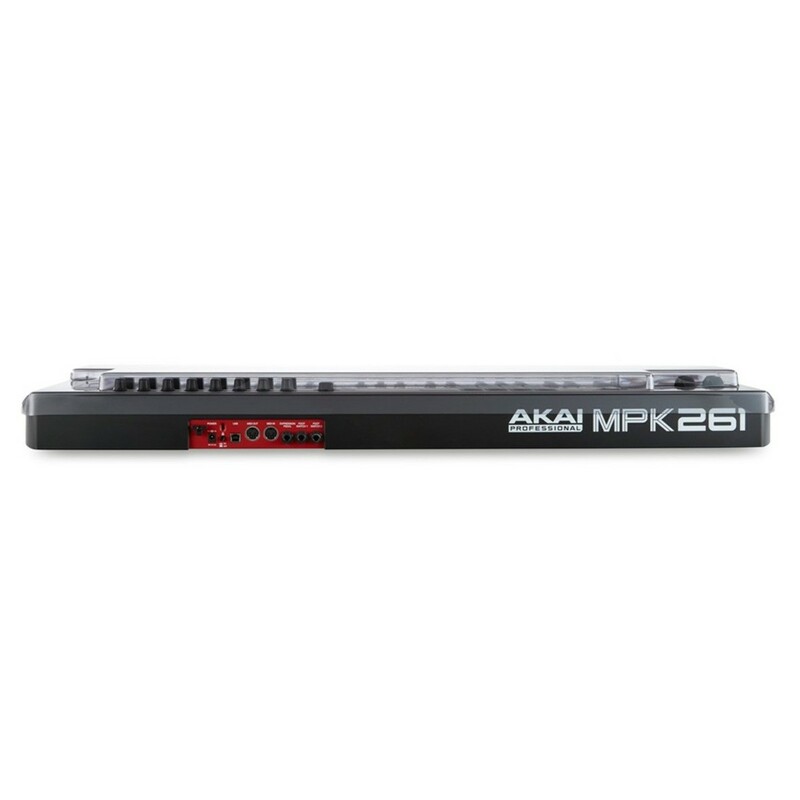 The Decksaver Akai MPK261 Cover protects the internal components from elements such as smoke, dust, liquids and impact. The polycarbonate shell helps to protect all major controls including the keybed from damage, whilst on the move. 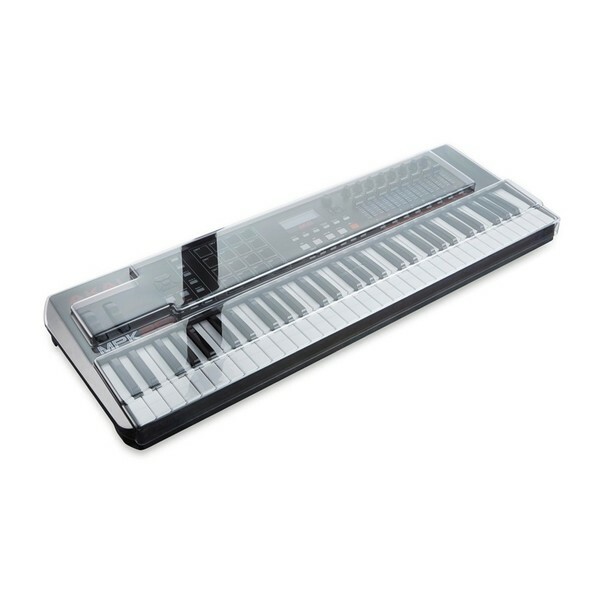 The keyboard is protected by the clear external shell in close proximity which allows you to transport the turntable in a flight case or padded bag, this improves protection during transportation. The cover provides an exact fit, whilst providing room to accommodate cables, making setting up easier than ever. Decksaver covers are designed to be durable and preserve the life-span of your gear. As a manufacturer, Decksaver has 45 years of experience in plastics manufacturing using polycarbonate technology to produce high spec covers.